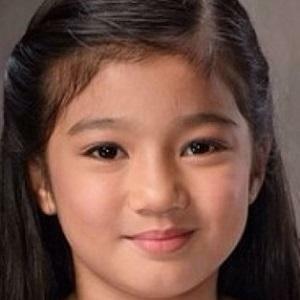 TV actress best known for playing young Kathy in the Philippine show Lorenzo's Time. She made her TV debut in the children's show Goin Bulilit. She played young Sarah in the 2013 Philippine TV show Muling Buksan Ang Puso. She is the daughter of Myk and Katrina Mariano. She has a sister named Daniela and a younger brother. She co-stars with Zaijan Jaranilla on Lorenzo's Time.